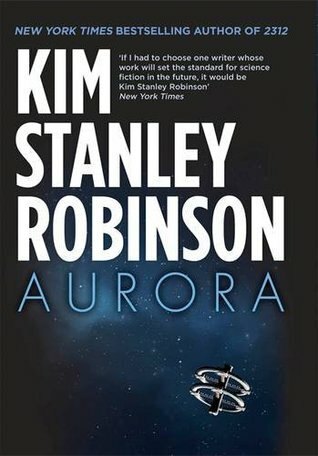 About a quarter of the way through this book, I came to the conclusion that this has to be about the most depressing novel about interstellar exploration ever written. I’m aware that it’s hard; that there will be many problems and difficulties that must be faced by anyone who attempts to explore beyond our solar system, but Mr Robinson, do you really need to lay it on with such a large trowel? Consequently, I found the book to be really tough going, especially in the middle when everything is falling apart – literally. If there is one concept that dominates this novel it is entropy, to such an extent that I doubt if I’ll ever read a generation ship story in quite the same light ever again. To tell the truth, I have every expectation of seeing this novel nominated for a Hugo next year. It may even win. Robinson has done a fine job of writing hard science fiction – his research is impeccable, and I don’t doubt his numbers (there are an awful lot of them, by the way). But while I will remember this novel a lot longer than most, I have to confess that I didn’t exactly enjoy reading it.